Since the Bauer family founded Proguard Protection Services, Inc. in 2001, the security company’s number of clients has grown every quarter—even through the recession. The key to its continued success, according to CEO Frank Bauer, has been its focus on reliability, its expertise in serving homeowners, and the excellent customer service from a local family that knows the valley. 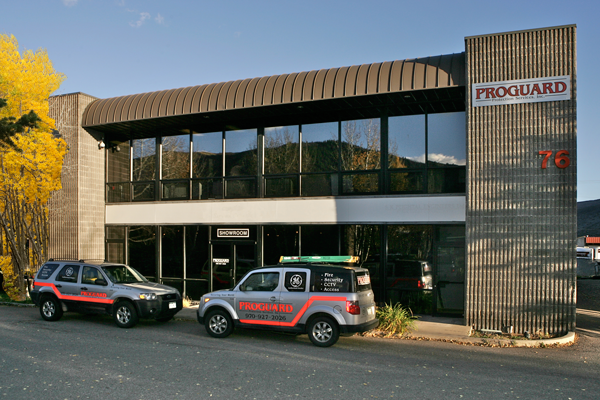 With more than 1,300 homes and businesses as clients, Proguard is the second largest security provider in the valley. The company serves homeowners across the length of the Roaring Fork Valley, with a sales office in Aspen and a new state-of-the-art headquarters in Basalt. They design, engineer, install, and monitor Fire Environmental and Burglar Alarm systems, along with video surveillance and door and gate access control systems–all of which can be integrated into one simple to use security solution. Every Proguard system is custom fitted to the client it will protect. A good security solution starts with a good product line. Proguard is a GE Security Pro dealer, the highest level of dealership GE offers, and has joined with Alarm.com to create “Pro-Control,” a custom, real-time integration program giving clients the ability to turn alarm panels on and off, change room temperatures, adjust lights or lock doors from their mobile phones or computers from anywhere on Earth. This technology also gives homeowners small bits of “Micro News” to help them stay aware of what is happening around their home. Pro-Control can send text notifications to homeowners informing them of windows that might have been left open, anyone entering or leaving their home, and can send instant photos of anyone who opens a gun case or filing cabinet, enters a hot tub or approaches a safe. Proguard carries a full line of indoor and outdoor CCTV surveillance options for wine cellars, vaults, driveways, safes, and pool areas with remote viewing capabilities allowing homeowners to view important areas of their homes while they’re away. Of course, any security system is incomplete without 24-hour monitoring and a fast dispatch team who can send the right resources to the scene. Knowing the world-class level of service expected by locals and second-home owners expect, the Proguard team focuses on personalized customer support. If there’s an issue with a system, they send a technician that day. Aside from instant dispatch to any fire or burglar alarm, Proguard makes a daily report for every client showing all activity in the system over a 24-hour period. Whether a client has a low battery or a change in temperature in their wine cellar, the Proguard dispatch department sees these issues and lets their customers or property managers know immediately. Proguard’s UL- certified central station monitors every system 24 hours a day. Within seconds of an alarm event, the central station notifies the client and dispatches the police, fire, and ambulance services when needed. To further protect their clients, Proguard’s dispatch department is also watching the account locally to help alleviate false alarm calls and guide resources to a scene when needed. Their 24-hour guard response team can assist in any alarm or event, providing access to a home for the police and fire department, quickly shutting down alarm troubles in the middle of the night and even performing regularly scheduled site tours. This additional level of support helps bridge the gap between the central station, the responding resources, and the client or property manager. “Nobody is doing what we’re doing,” said Frank. Proguard has stayed on the cutting edge of security technology, with advances including transitioning system communications from landlines to more dependable internet and cellular transmissions saving client’s money by getting rid of their phone lines. Proguard has also created wireless camera systems to monitor construction sites to meet current insurance requirements. 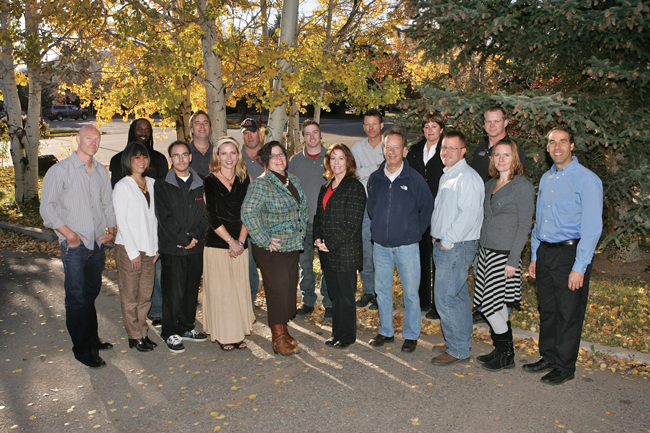 “We stay up on the industry and apply it to what we know is a good fit for this valley and our clients,” Frank said. The valley has unique security challenges, which the Proguard family members pride themselves on understanding and addressing proactively. Proguard has become a preferred security choice for homeowners because the team has devoted its talents to serving their distinctive needs. Proguard systems, protecting against floods, freezes, and natural gas leaks, are key to protecting homes while their owners are away for extended periods of time. Proguard has also developed a security program for property managers allowing managers to oversee several homes simultaneously. Proguard’s monitoring team updates them with day-to-day and minute-to-minute system activity for all of their properties through their cell phone or office computer. “We love our property managers, their jobs are tough and through new technology, we can help them provide stronger manageability of their homes,” said Frank. Whether you are building a new home, renovating an existing, meeting an insurance requirement, or gaining a large discount off your homeowners insurance, Proguard is here to help. They can take over virtually any system in the valley and usually save clients a lot of money over their old provider. Let their family protect yours. To learn more about Proguard Protection Services, Inc., call 866-42-GUARD or visit www.proguardprotection.com.